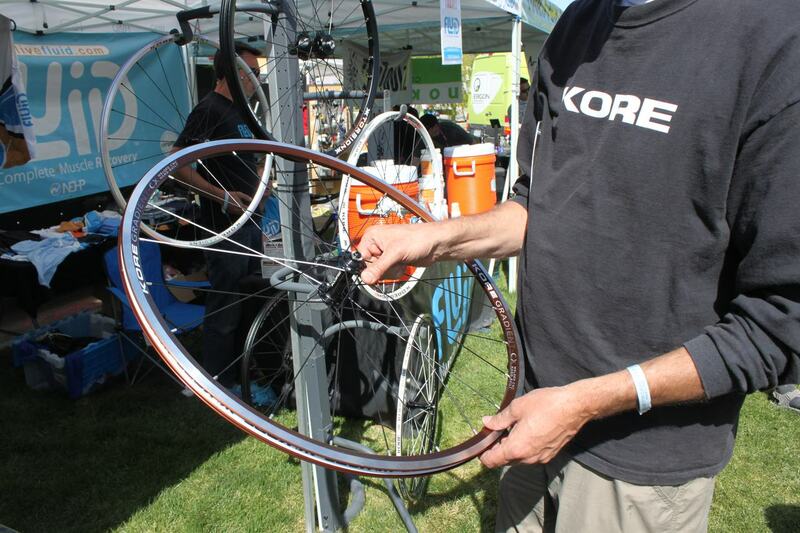 Sea Otter Classic’s Expo continues to be the springtime event for cycling manufacturers to unveil their new cycling products, and there’s plenty of cyclocross products to be seen. 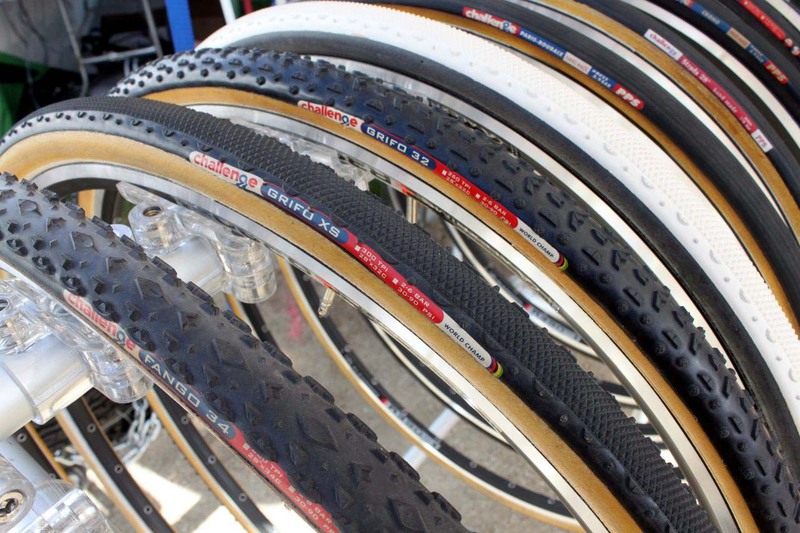 Today we take a look a three new cyclocross-worthy wheels, higher TPI tubular tires that are finally available, new advocates for cycling and a birthday girl. See our other Sea Otter cyclocross product galleries here. Zipp showed off their new 101 wheelset that features an aluminum, clincher version of their carbon 202 tubular rim. 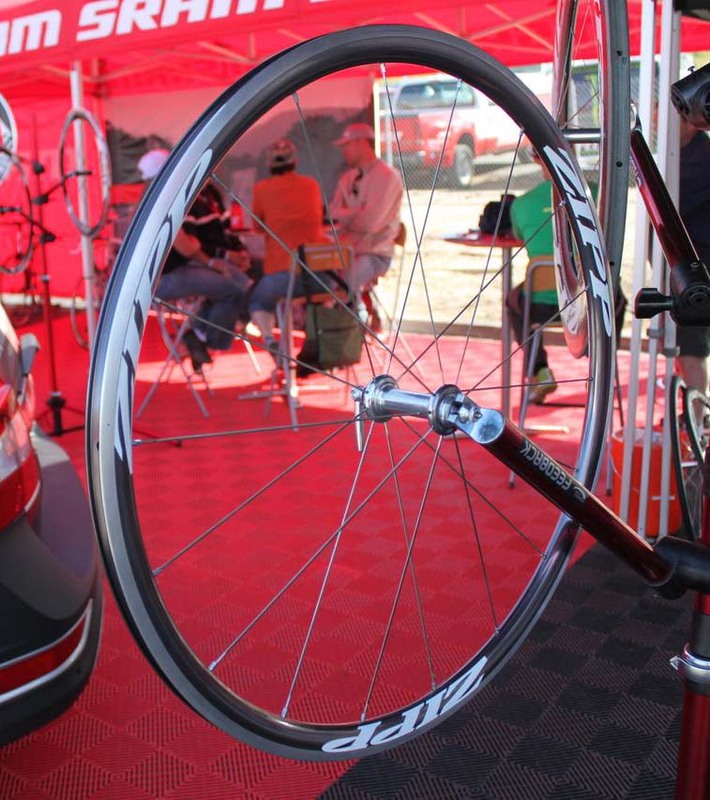 The toroidal shape of the rim makes the rim the most aerodynamic aluminum rim available, according to Zipp. Perhaps more relevant for cyclocrossers, like the 202, the 430g rim offers an increased width of 22.5mm at the braking surface, 24.5mm at the widest spot. The entire wheelset weighs 1523 grams, retails for $1300 and has a maximum rider weight of 230 pounds. 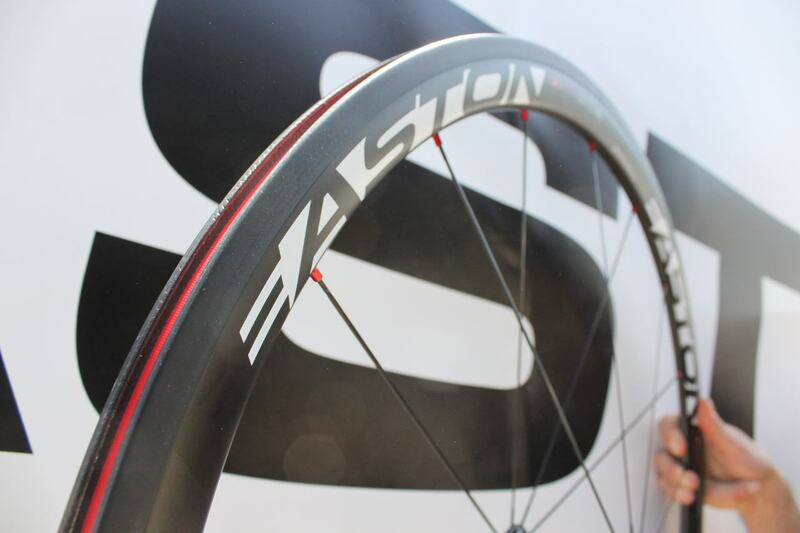 Easton also showed off its new high-end clincher wheelset, the EC90SL carbon clincher. 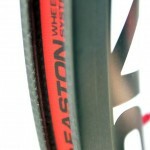 The company says the two most unique feature of the wheels are the carbon rim’s braking surface and hook bead construction. The braking surface is said to offer smooth, consistent slowing and has a unique treatment for best-in-class heat dissipation during braking. This could come in handy if your race wheels have to do dual duty in long road (or dirt) races with extended descents. 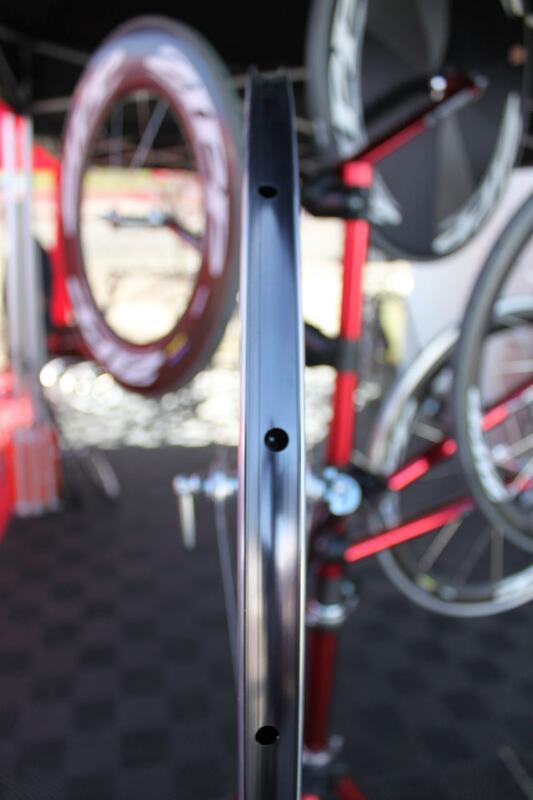 For cyclocrossers, the hook bead’s molded construction should offer added strength. Easton managed to create a mold that includes the hook bead, a difficult accomplishment that avoids the common practice of machining the bead after molding and cutting through the fibers. The rim features a 20.5mm wide braking track, and a 38mm deep profile. The wheels feature the company’s R4 hubs with ceramic bearings, weighs 1465 grams, and will retail for a pricey $1799, $100 more than the tubular counterpart. 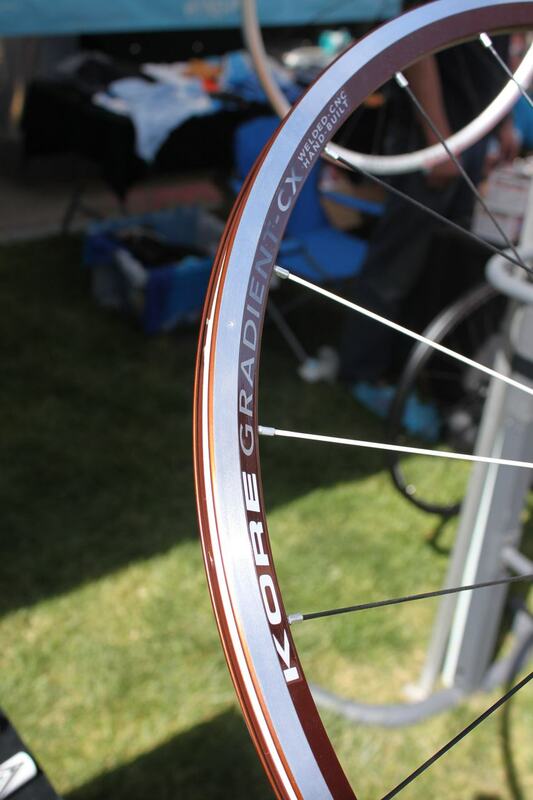 Kore showed a new cyclocross-specific wheel, the Gradient CX that has some nice features for a cyclocrosser. The braking wall offers 1mm extra height that comes in handy for the downward motion of cantilever brake pads. 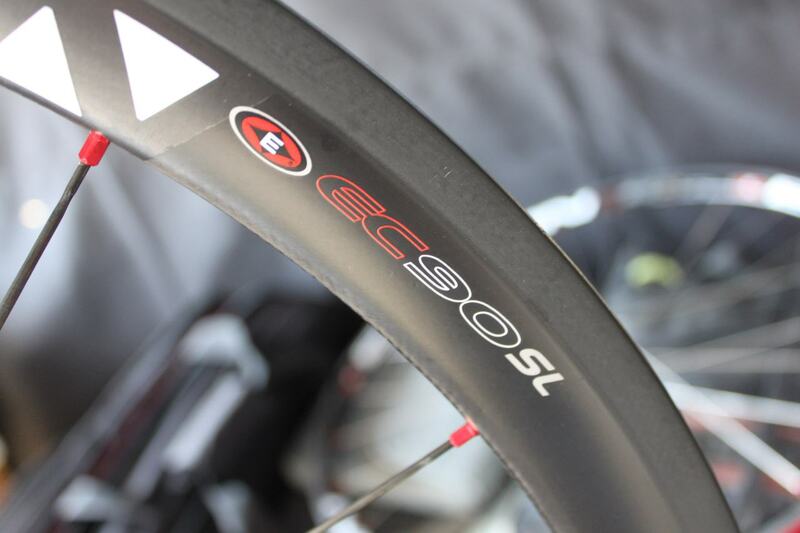 The rim’s bead and internal profile are also designed to be tubeless friendly, borrowing features from UST and Shimano’s road tubeless, and they should allow for better cyclocross tubeless conversions with a rubber rim strip, such as the one offered by NoTubes.com. The 24F/28R spoked wheelset weighs 1610 grams, has machined braking surfaces and a welded joint, retails for $450 and has a pair of white spokes that help a rider easily find the valve hole. Two happy sights were USGP and Louisville Worlds promoter Joan Hanscom and a new advocacy group for cyclists. Hanscom was happily working on her birthday in search of more race sponsors and was sporting a Schlamm jacket. The Republic of Boulder-based PeopleforBikes.org kicked off their launch at Sea Otter, and plans to work with organizations like Bikes Belong and IMBA to help protect and improve cyclists’ rights and access, both on and off-road. Both Vittoria and Challenge had their cyclocross tubulars on display, and both companies say their higher TPI tubulars are now available. Vittoria offers three blackwall treads on its 320TPI casing, while Challenge has a new 300TPI casing available, as seen on its Grifo XS. Check back soon for even more cyclocross goodies from Sea Otter. Missed our previous installments? Check them out here.